Tottenham manager Andre Villas-Boas is confident Spurs can still qualify for the knock-out stages of the Europa League despite his side sitting third in the Group J table. Spurs were held to a 1-1 draw in Panathinaikos on Thursday and have picked up just two points from their opening two matches. "Everything is open as we go into the double-headers," said Villas-Boas. "It's only after the fourth game [of six] you know who will go through." Tottenham took the lead in Greece through defender Michael Dawson and should have made sure of the points before Spanish striker Toche equalised for the home side 13 minutes from time. 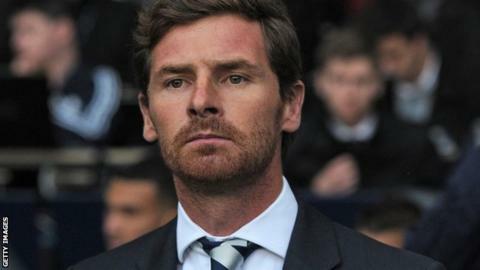 "I don't think we were complacent," added Villas-Boas. "We were a bit sloppy in the second half. I understand the disappointment at not putting the game to bed, but in the end we congratulated the players because if it had been other way round, the whole perspective would have been different." Tottenham were disappointed to miss out on a place in this season's Champions League, after Chelsea won the trophy in May and took England's final place in the competition, but Villas-Boas wants success in the Europa League to make up for it. They visit NK Maribor in their next game on October 25, with the return game with the Slovenians at White Hart Lane on 8 November, before Spurs end their group campaign with a trip to Italians Lazio (22 November) and a home game with Panathinaikos (6 December). The top two teams in the group will qualify for the next round. "The ambition we set for this competition is to go to the final, to win the trophy," added the 34-year-old. "It is a trophy this club have won in the past so we embrace the tradition."